This small plant plant with a height of 18 to 32 cm has 3 to 6 foliage leaves and 1 to 2 leaves enclosing the stem. 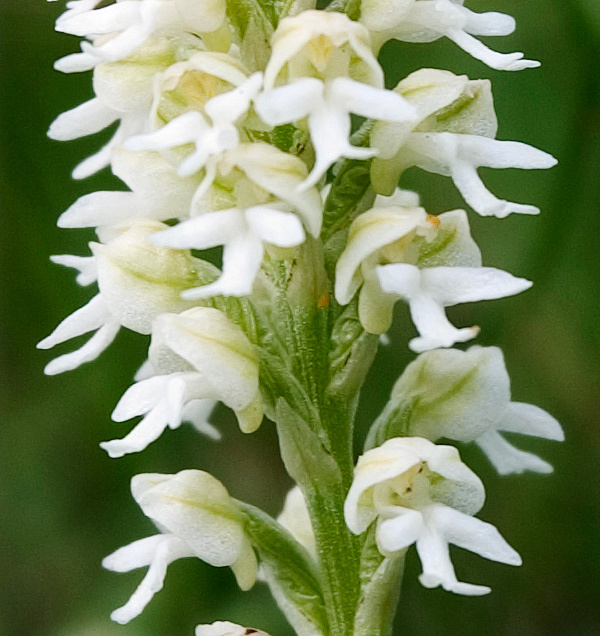 The inflorescence carries up to 70 small flowers, each one only 5 to 7 mm long. They have a a scent of honey or vanilla. All sepals and the two upper petals form a closed hood. 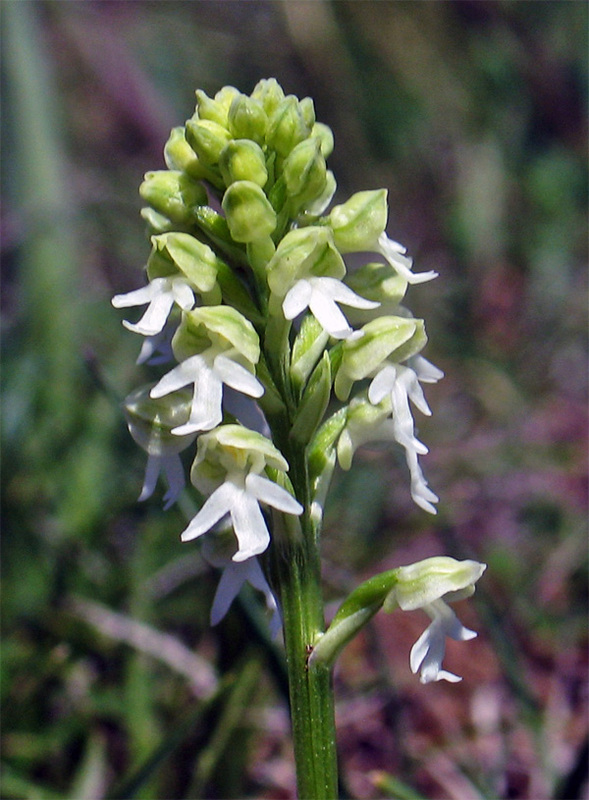 The labellum is deeply three-lobed with lateral lobes spreaded and a divided middle lobe. The spur is about half as long as the ovary and bent downwards. 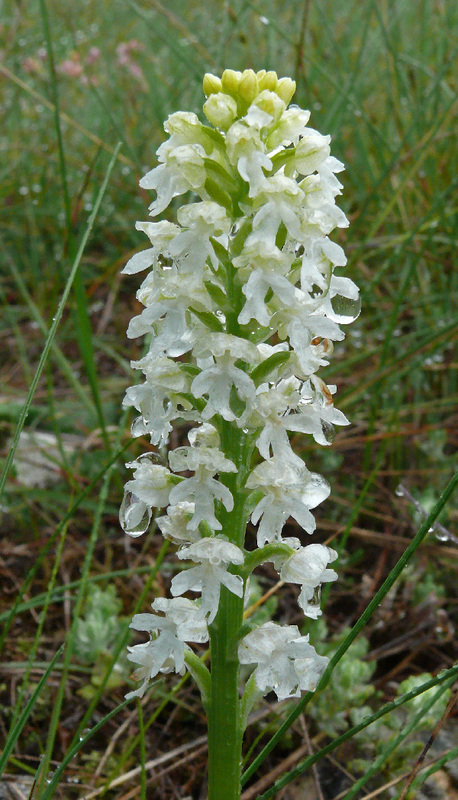 Linné described the plant as Orchis ustulata in his opus Species plantarum (1753). The present name was given by Richard Bateman, Alec Pridgeon and Mark Chase in an article published in Lindleyana in 1997. The variebility of this species is rather limited. The hood has a dark, red-brown colour on its outside, the labellum has dark crimson points on white ground. Albiflora forms are very rare. Neotinea ustulata is growing on grasslands, up to 2400 m, on calcareous soils. Bloom is from April to July. 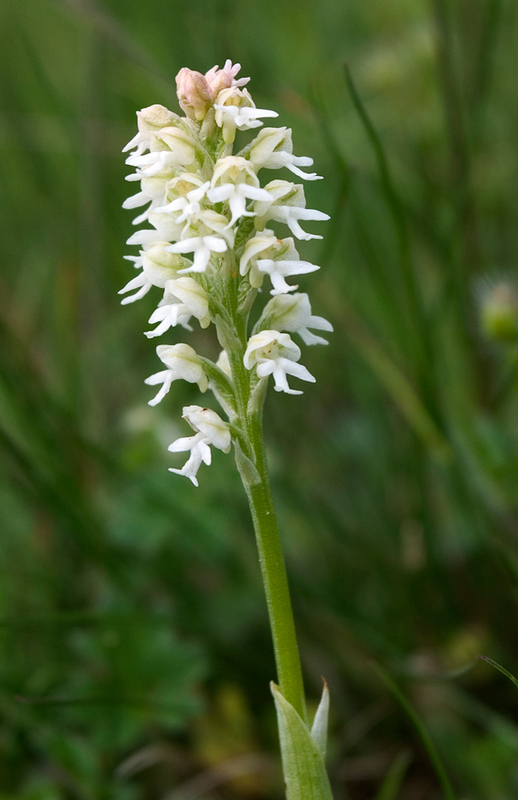 The plant can be found in many parts of Europe, especially in middle and southern regions.